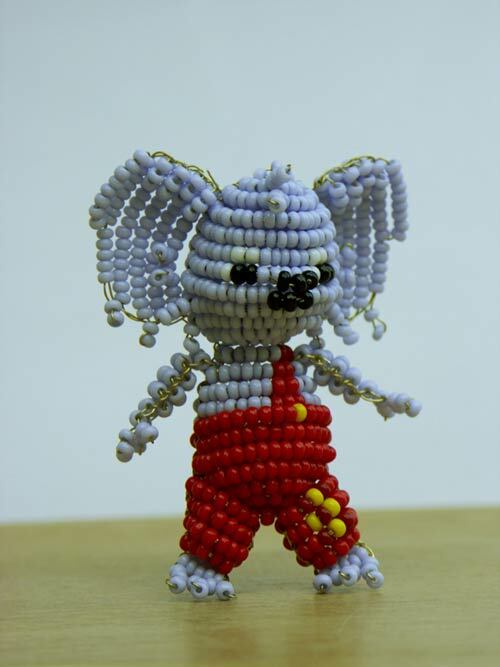 Beads got many types and forms that also come frome its different places of origin. One of these are pearls where the ultimate precious beads of natural origin because of their rarity. The wood,plastic, glass, metal and stone are the usual bead materials used in modern manufacturing. 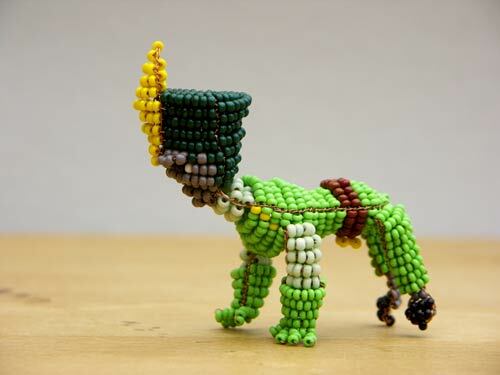 Processing these beads nowadays requires human intervention in shaping and color enhancement. 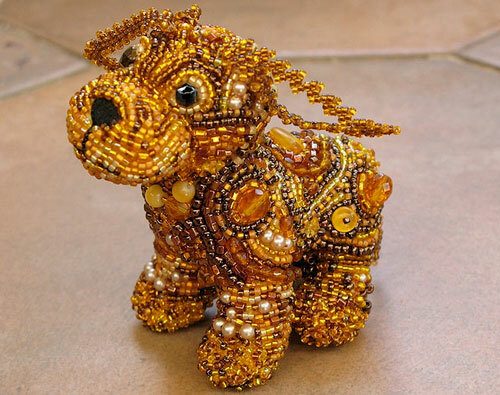 Well, when we hear things about Beads, first thing that could always come into your mind will be bracelets… necklaces or anything that’s girly but there is more to it and we’ll share with you some of the marvels of art in beads. 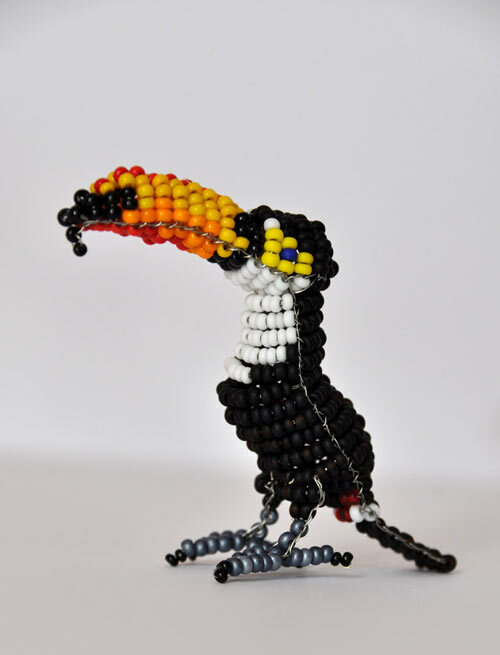 Take a look at these 30 Attractive Bead Art Collection that will guide and stimulate you to make your own piece of beading designs or even just simply inspire you with all its forms and the fun it can give to your artistic eyes.. Select one of your own choice and add it upto your art collections. 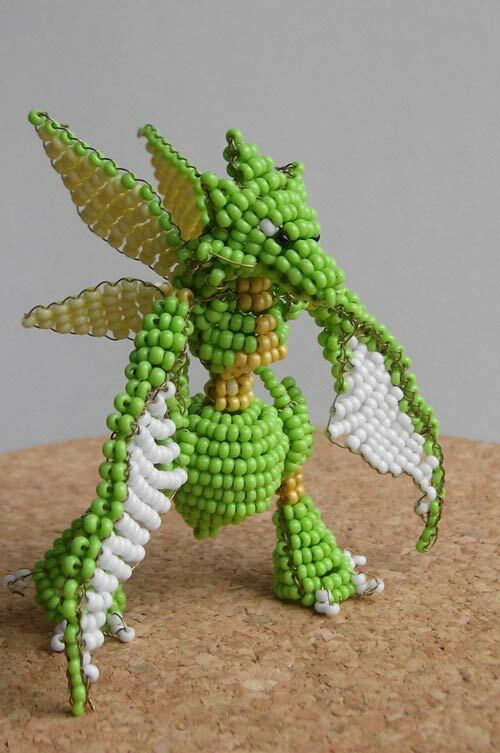 Beads may sound like girl stuff. 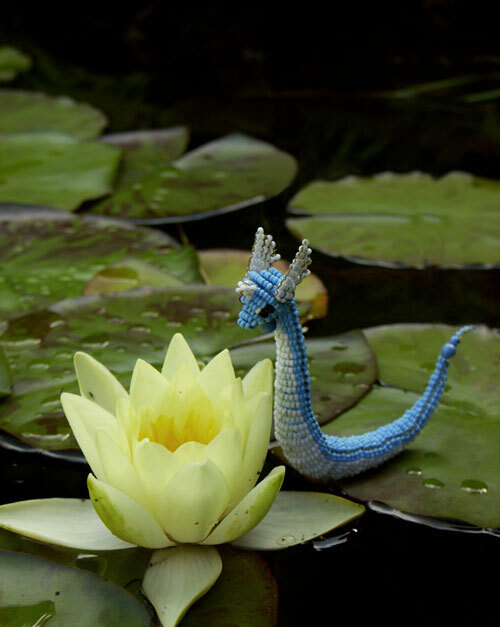 But it all depends how creative they’ve been used for especially when it’s as cool as this dragon. 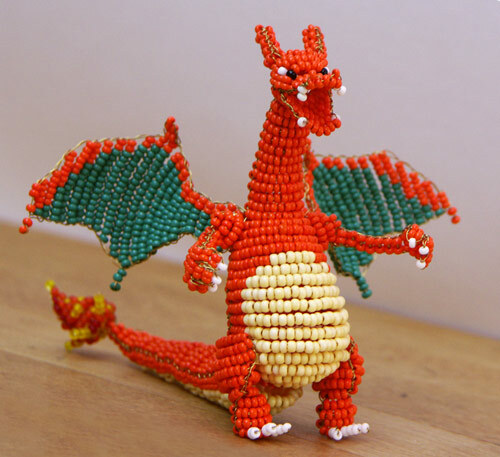 Charizard is one of the strongest Pokemon characters who blasts off fire. Also another Pokemon character which evolves from being the Surskit. Its level starts at 22. It’s not just in drawings that you make your piece of art look as though they were trying to communicate. 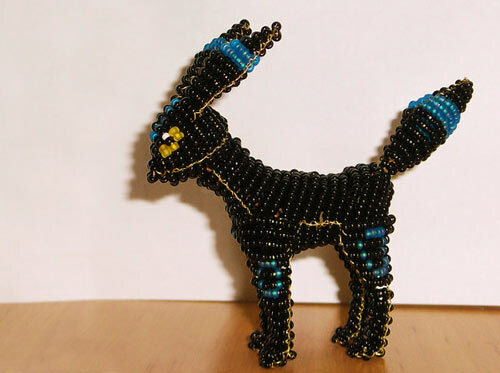 Possible on beadworks too! Arts and Crafts may know no limitations especially when photography even comes in to make your artwork become more appealing. Rock Lee is one of the fictional characters in the Manga Series Naruto. 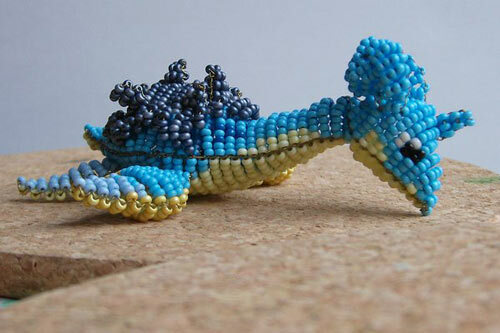 Beadwork when taken seriously becomes a serious task especially when you are trying to detail something. 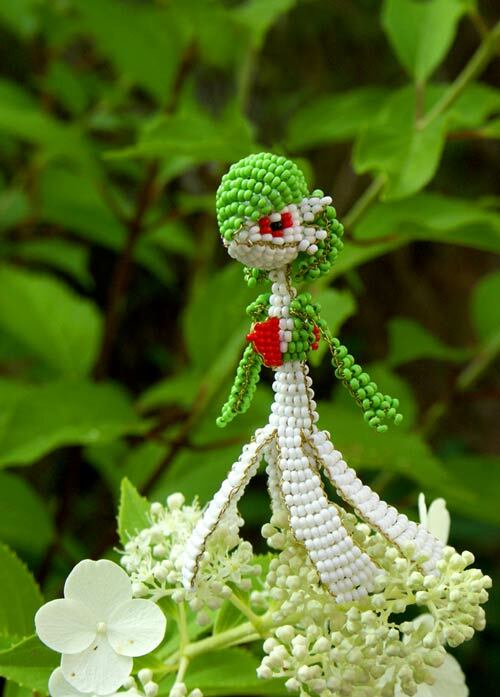 Snivy is also a Pokemon character of grass-type evolving to become the Servince and also Serperior at the 36th level. 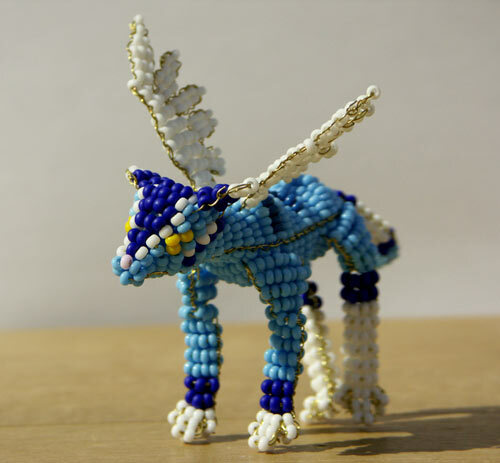 Take your artistic eye to the world of beads and get to explore what it can do for you! 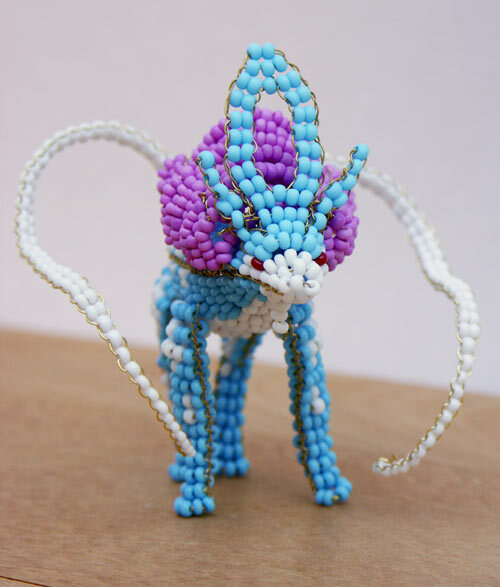 This Pokemon is one of the those Water-Type ones which represents the rain. 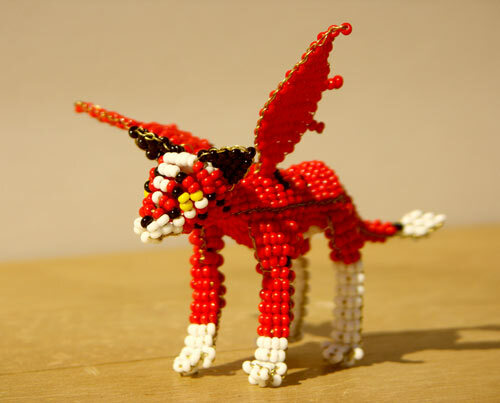 Quilava belongs to the Fire-Type Pokemons evolving from Cyndaquil at the top most gets to evolve as Typhlosion. 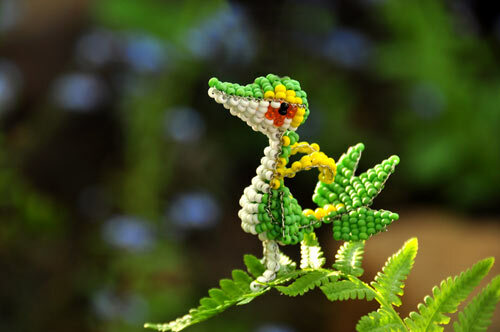 Making things realistic in beaded artwork is superb! 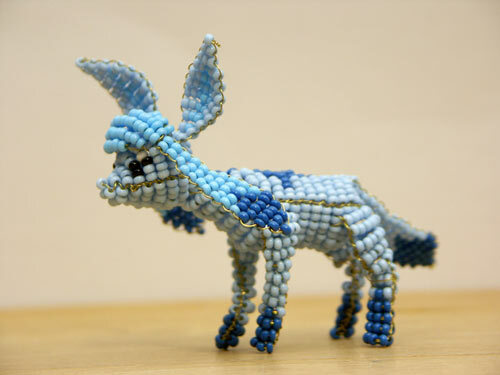 Animals become a wonderful subject for artworks especially when you have far more dreamed of accomplishing such an impressive beadwork! Sometimes it’s good when cartoons or animal books come across our minds. They just inspire us! A Pokemon who’s got its own glow to blast off its enemy. Such a huge masterpiece that requires patience and artistic mood. Make it look as though it were real and communicative as though it were about to do something. 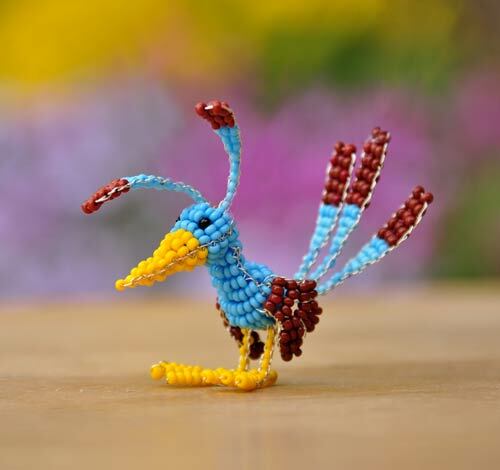 Well, you might be encouraged to make one as cute with all the details. Let your style flaunt your own way and fly like a bird. Green with all these shades are just nice plus a few more colors to let the design look amusing. 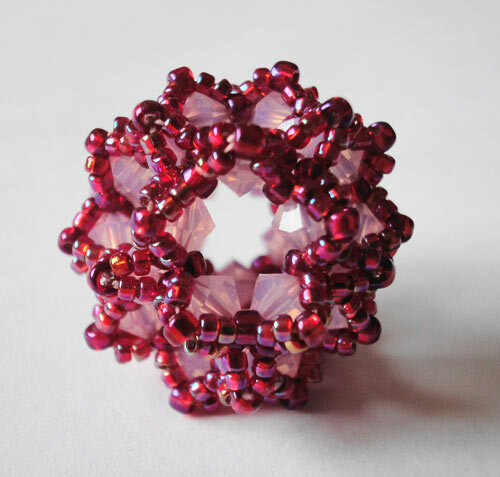 A bead masterpiece doesn’t have to be very heavy. It just have to look meaningful. As pretty as this. 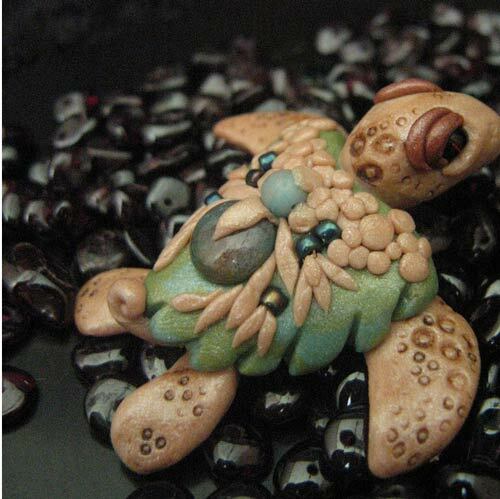 And it could even go as simple as a turtle trying to swim thru the ocean. Scyther could either just be a bug or could fly as a Pokemon and gets to evolve to become the Scizor. 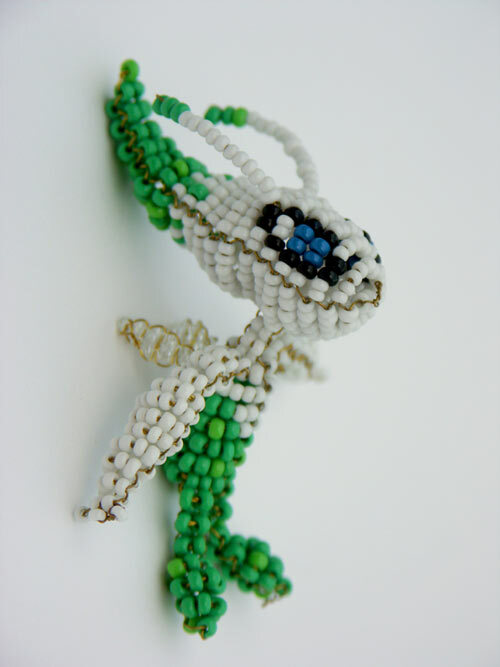 It also helps to be dual-type as Celebi is a Psychic or Grass type of a Pokemon. 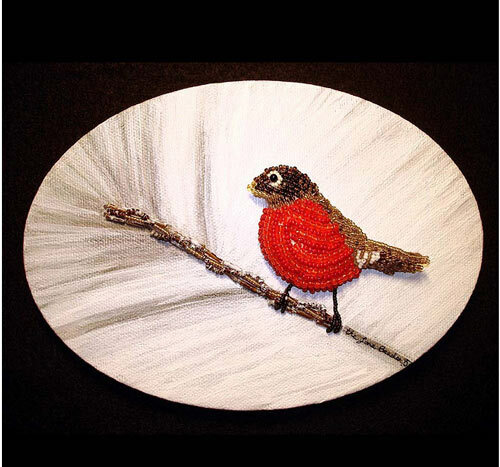 The Robin looks more attractive as the beads were able to achieve its perfect colors. 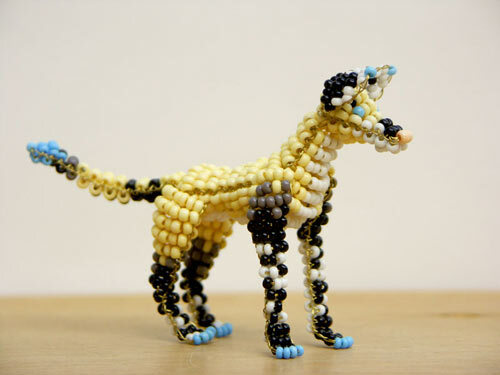 Beads are made out of many sorts of materials. 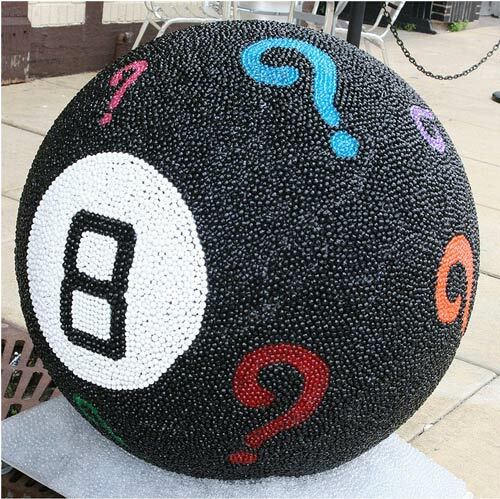 You must know which ones to choose for one single project so you’d achieve your desired output. 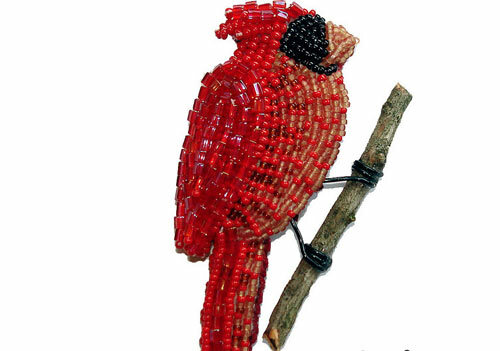 Red especially on beads become very much attractive especially when exposed to light. 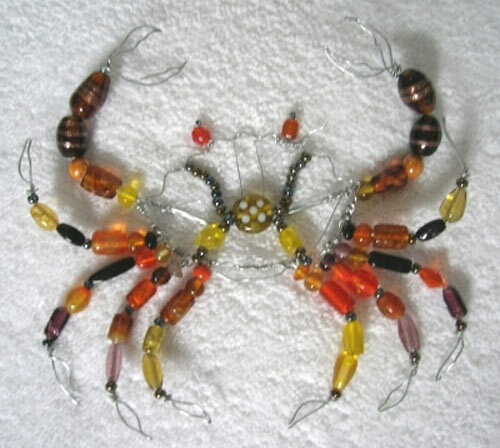 With the magic of wires plus the beads standing out, this is just a cute crab to have for decoration! Lapras could either be water or ice type of a Pokemon. Being an Ice-type of a Pokemon, it gets to evolve from being the Eevee. 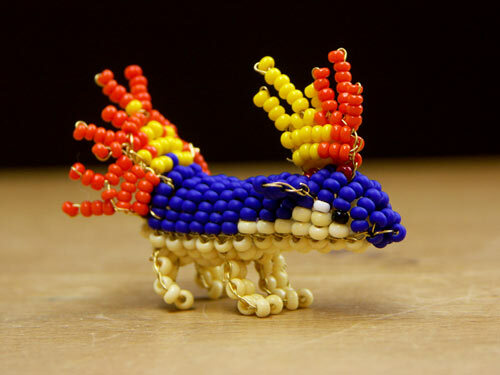 Well, Bead Art or Beadworks may sound boring or lousy hearing it first. It sounding too feminine but sometimes, it’s all in the mind. Creativity know no limits or does it? Wow! 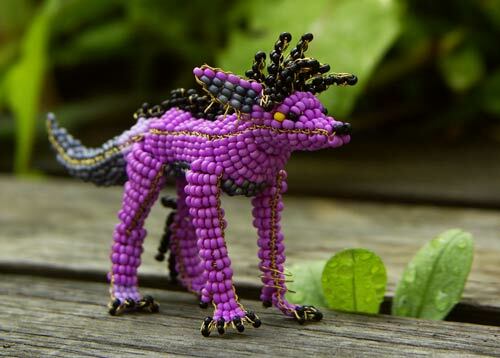 Can you imagine how tedious it must be handling all those tiny beads?! Those are amazing! They really are works of art. very creative, they look so cute! 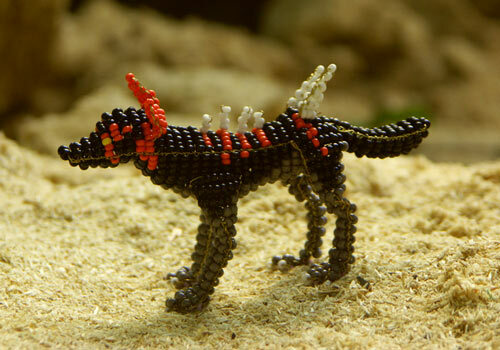 Its really a tough work for that tiny beads, hands down to those who made those amazing art. Just one word : Awesome! Absolutely true, art is infinite ..